Is your home being cooled properly? Each year we take hundreds of calls from customers who need help with air conditioning installation, service or repairs in Glens Falls, Lake George, Queensbury and Saratoga Springs. We understand the importance of feeling comfortable in your home climate! Air conditioning is a process that controls the filtration, air movement, temperature and humidity of a given environment. Air conditioning is always associated with the cooling and dehumidification process of air, and is therefore identified with refrigeration equipment. A residential central air conditioning system keeps your entire home cool in the warmer months, while it helps lower indoor humidity levels. Air conditioners can be centralized with ductwork to carry the cooled air to various rooms or individual units that cool specific areas. Most people think that air conditioners lower the temperature in their homes by pumping cool air in. The actual process removes warm air from your house and cycles it back in as cooler air. This cycle continues until your thermostat reaches the desired pre-set temperature. 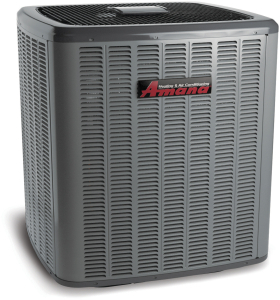 System elements include a compressor, a fan, condenser coil, evaporator coil, and a refrigerant. The unit extracts heat from indoor air and transfers it outside, leaving the cooled indoor air to be re-circulated. An air conditioner is basically a refrigerator without the insulated box. It uses the evaporation of a refrigerant to provide cooling. The mechanics of the refrigerant evaporation cycle are the same in a refrigerator as in an air conditioner. A compressor compresses cool refrigerant, causing it to become hot, high-pressure gas. This hot gas runs through a set of coils so it can dissipate its heat, and it condenses into a liquid. The liquid then runs through an expansion valve, and in the process it evaporates to become cold, low-pressure gas. This cold gas runs through a set of coils that act like a radiator and allow the gas to absorb heat and cool down the air inside the home. 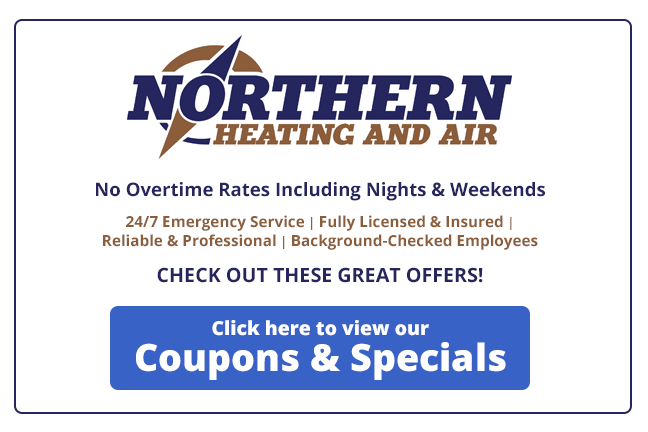 When you need air conditioning in Glens Falls, Lake George, Saratoga or Clifton Park NY, call Northern Heating and Air at (518) 745-0401! We can provide all of your A/C installation, service and repair needs. CALL (518) 745-0401 TO SCHEDULE AN APPOINTMENT – OR – REQUEST AN APPOINTMENT NOW! Air conditioning installation, service and repair.